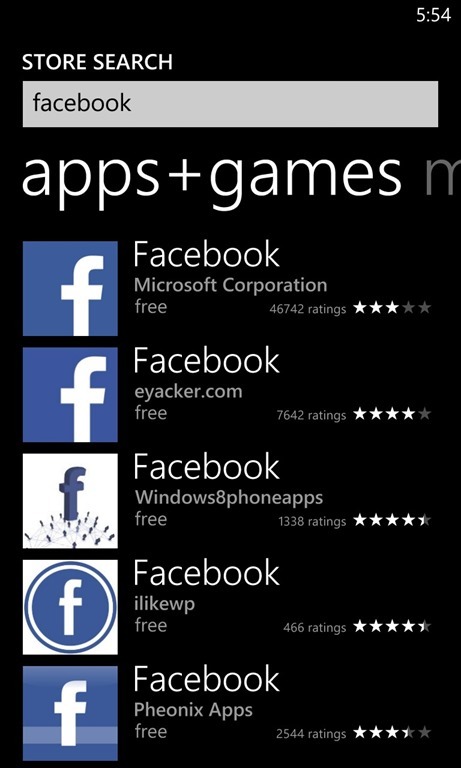 I am taking another stab at Windows Phone, the first time around one of my complaints was finding good apps. The good news is, Windows has come a long ways and with the Lumia 1020 the hardware is ahead of the pack. What I love about Nokia’s approach is helping people find those apps that matter. 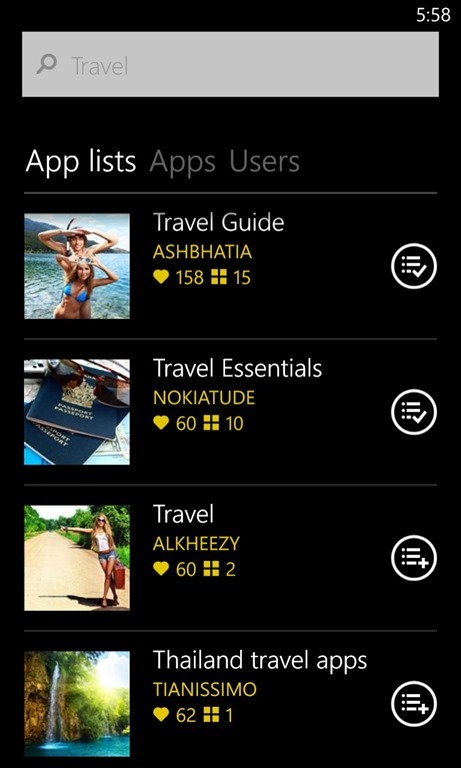 The transition from Android and iPhone to Windows phone is much easier when you know what the equivalent apps are… With App Social you can find valuable resources in the community and people that are most followed that have great ideas and discoveries on apps that are being released every day. I’m always asking my friends what they are using. Now there’s an easy way to make lists and vote by following people and lists on relevant topics. In App Social is an app for the community to help quickly locate apps based on popularity and share lists of apps allowing the community to vote up the good lists and good apps. The normal windows phone store definitely has some challenges when it comes to finding the right apps. For example there are over a dozen facebook apps and none are written by facebook (Zuck, I’m still waiting!). There are some that are better than others, and navigating the store it’s pretty tough knowing what is better than another and the ratings alone don’t do it. My friends have since shared App Social and Windows Phone Central both of which can help you figure out what you’re missing out on. This week I ran into a yammer employee who’s also been learning the best of Windows Phone. We were comparing apps and telling stories. Now with app social we can do this by simply creating lists, leaving little snips about why we like the apps and create themes around them. Much easier than just sending an email of a list of apps where I then have to search again for each new app and hope that I got the right one. I’ve created a couple of lists so far. I’ve got a Bitcoin list, best of social apps, LDS apps and a list for Travel. I’m sure I’ll be adding more apps as I gain more experience and use more apps. You can follow me on App Social by simply looking for my username joeloleson or looking for my bitcoin list then finding me since it’s the first bitcoin list in app social. 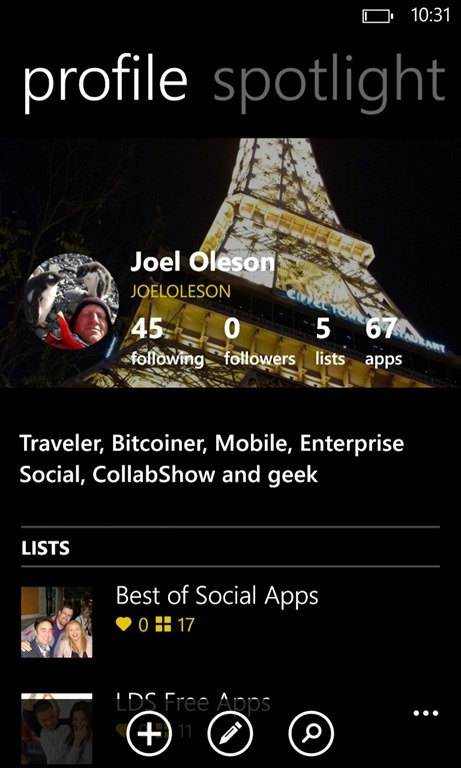 Check out my lists of Windows Apps in App Social… and let me know if you’ve created any lists. — This post was written as part of a partnership with Nokia, however all thought and opinions are mine. Next Post How’s the ESN heartbeat in your company? This is great. I have never made the jump over to Microsoft with my phone, always been a bit nervous that it would not have all the cool stuff my phone does. It appears I may be wrong, this social approach to finding apps looks great. It’s a bit commitment. In the last 6 months I’ve spent between iPhone 5, Android HTC One, and Windows Phone 8 with the Lumia 1020.